These factors, among several others, are major aspects of a web form’s layout that have the potential to either enhance or diminish its user experience (UX). By implementing a successful layout, you’ll create a great experience for your visitors as well as initiate a positive – and hopefully long-lasting – relationship between them and your brand. Align all of your form fields to the left side of the web page. This is the most natural way to lay out your form because it’s how the vast majority of people learn to read content – by moving from right to left. If you aren’t using inline form field labels (which are located directly in the form fields themselves), you should also align your labels to the left. 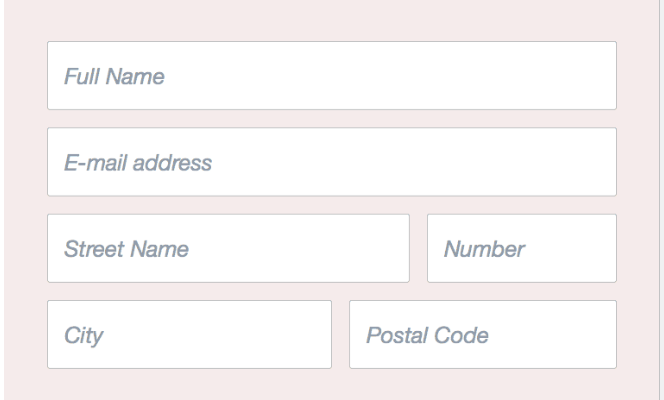 Again, this natural flow will help your visitors complete your form more efficiently without feeling confused about which label belongs to which field. Next Article Bed Bath & Beyond Was a Monster in the Stock Market Today. Here’s Why.